Real-world perspectives: A panel on work-life issues and choices. 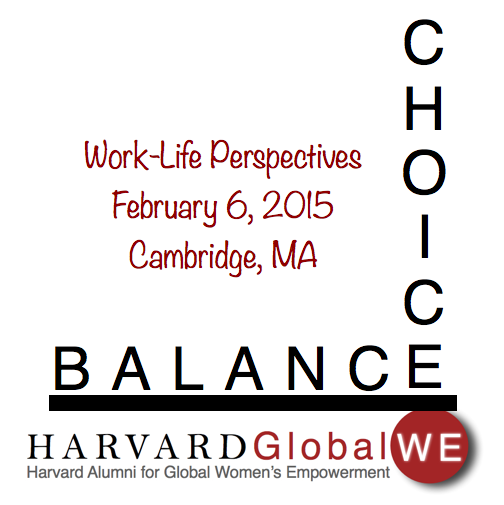 Please join Harvard Alumni for Global Women's Empowerment at Harvard's Office of Career Services (OCS) on February 6, 2015 from 3:30pm-5:30pm Eastern Standard Time for a conversation about work-life issues. Hear a panel of women and men discuss how they've grappled with choices about balancing work and family, and have arrived at different places. The panelists will offer their real-world perspectives on what has worked, and what has been sacrificed, as they have managed the many claims on their time and energy. Question and answer discussion with attendees to follow. This event is free and open to all Harvard GlobalWE members and their guests. "Why Women Still Can't Have It All"